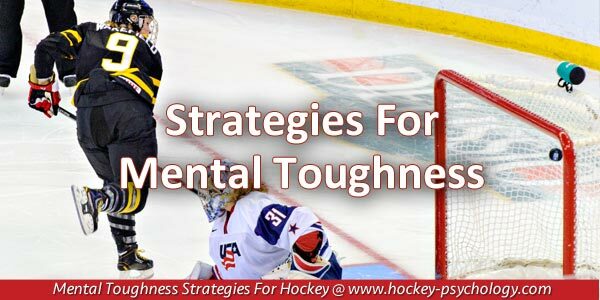 Why Do You Need Mental Toughness as a Hockey Player? The answer is quite simple… You need mental toughness because things rarely go exactly as planned. As a child, you probably dreamed of achieving great success in sports. Maybe you dreamed of winning the gold medal in the Olympics… Or striking out the side in the bottom of the ninth inning to become World Series champions… or being ranked #1 in your sport. Chances are your dreams never included going through the adversity and hard times that you will absolutely face during your journey as an athlete. Think of some things you faced during your athletic career: injury, being benched or cut from a team, equipment malfunctions, losing a game you should have won, etc. No great athletic feat has ever been accomplished without some degree of adversity. So when tough circumstances hit, you need mental toughness to see you through to the other side. Mental toughness is a combination of attitude, patience that keeps you moving forward past obstacles in the direction of your goals. Mental toughness is the ability to maintain your focus and determination no matter what happens to you. Columbus Blue Jackets 19-year-old rookie defenseman, Zach Werenski, is the type of mentally tough athlete who does not allow mistakes to throw him off his game. Werenski mentally approaches each game one shift at a time no matter the last game, the score, the last shift or the crowd. In a game against the Anaheim Ducks, Werenski was having an off game with several turnovers and bad passes. Instead of packing it in and writing off the game as a bad day, Werenski kept battling and scored the winning goal in overtime. Columbus head coach, John Tortorella, acknowledged the mental toughness of Werenski after their victory. Mental toughness helps you not get flustered and frustrated when you are not at your best because you know, at any moment, you can make the play that turns things around. When the going gets tough, the mentally tough keep going. Write out some scenarios that could happen to you during a season. Consider injuries, losses, critical mistakes late in a game, losing streaks, playing a rival, etc. After a significant amount of thought, how will you respond to each situation? –What will you focus on? –What will you tell yourself? –How will you keep your emotions in check? Start developing your mental toughness coping responses so you’ll be prepared to respond to adversity and other challenges! Click here to learn all of my focus-boosting secrets! 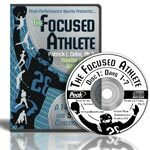 If you’re an athlete who is frequently distracted, loses focus in competition, or wants to lean more about how to focus better under pressure, check out The Focused Athlete! 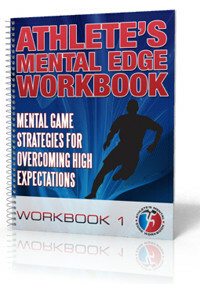 The Focused Athlete CD and workbook program is a step-by-step plan to boost concentration and overcome distractions in sports. –How your mind can be your best or worst asset on the ice. –One strategy that can help you boost your pregame confidence. –The top mental game skills you need to master to boost your confidence and performance in games and much more!